With Microsoft’s Surface RT platform out of the picture due to its unpopularity, the software giant was finally able to make enough breathing room for itself to release the successor of its Surface 2 tablet, Surface 3. The company is finally through incorporating ARM chipsets and the RT operating system in its lineup of tablets and has released one that delivers a complete Windows 8.1 experience to the user in a $499 price package. 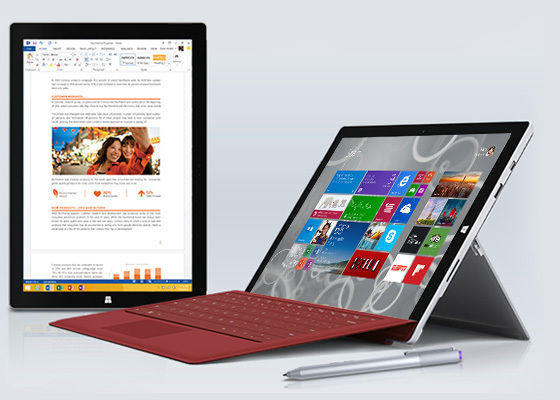 Surface 3 will start to ship out on May 5 in the US and May 7 internationally. As for the hardware specifications of Surface 3, the slate features a 10.8 inch display with a 3:2 aspect ratio. The large screen size will most likely be an advantage seeing as the tablet will be able to square off against Apple’s iPad Air 2.This also means that Surface 3’s resolution has been increased to 1080p, and weighs in at 1.37 pounds, which is lighter compared to Surface 2, which weighs in at 1.49 pounds. 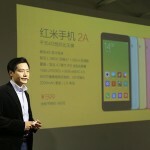 The tablet currently features a 3.5 MP front camera, but the rear shooter has been increased from 5 MP to 8 MP. There are several connectors that consumers will be able to take advantage of, most notably a full-size USB 3.0 connector, headphone jack, volume rocker, microSD slot (which is hidden under the kickstand) and a Mini DisplayPort. According to the source, the Surface 3 is rated to provide battery life up to 10 hours and in order to charge the device, a regular micro-USB socket has been provided, which decreases incompatibility issues that several users face. The Surface 3 will also be receiving a free upgrade to Windows 10 and there is going to be an LTE version coming out soon that is going to carry a price tag of $599. 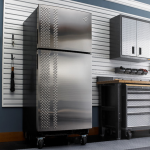 Whirlpool Gladiator Chillerator Review -- A Fridge for Your Garage?